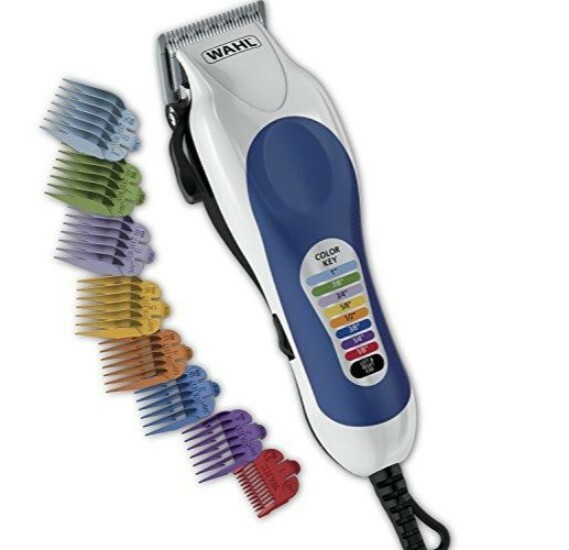 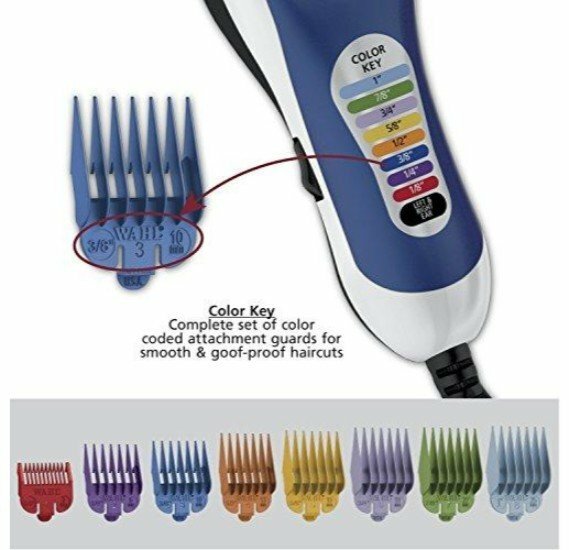 The wahl color pro 20 piece complete haircutting kit is perfect for performing professional quality haircuts at home. 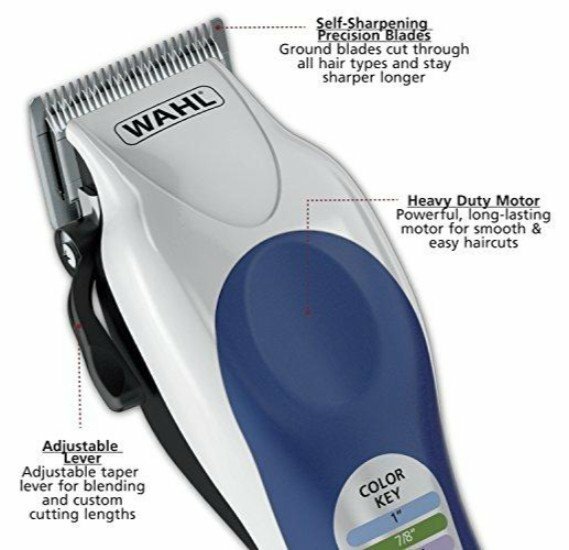 The clipper includes a comfort grip for easy handling, adjustable taper control and wahl exclusive accessories. 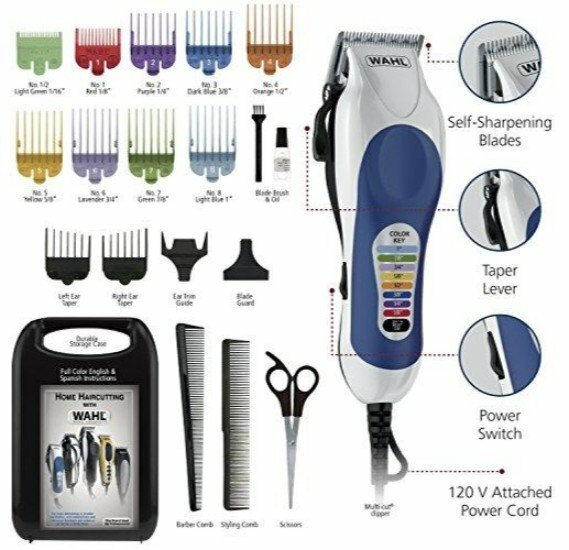 Kit includes: mc clipper, blade guard, 11 colored guide combs, barber comb, styling comb, scissors, cleaning brush and blade oil, English/Spanish instructions/styling guide.